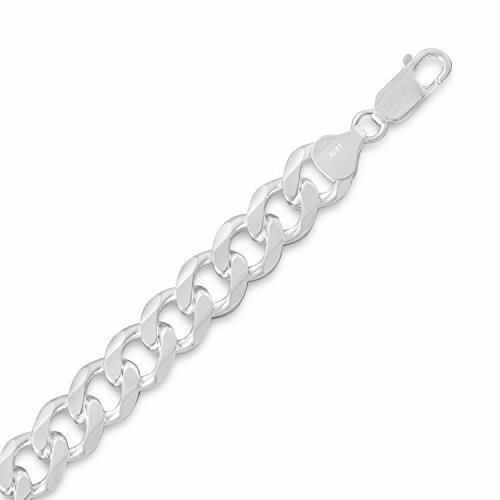 Sterling silver chain with a lobster clasp closure. Made in Italy. Made with .925 Sterling Silver. 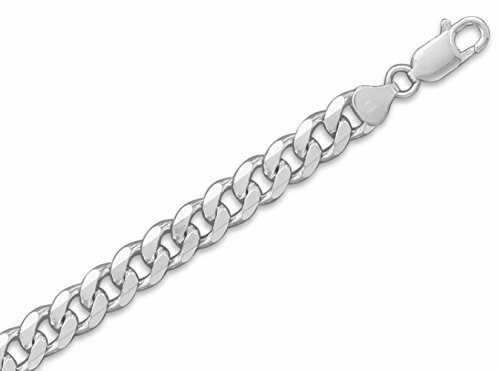 Sterling Silver 220 Beveled Curb Chain (8.3mm)• Description: Sterling silver chain with a lobster clasp closure. Made in Italy • Occasion: Suitable For Any Occasion.• Exellent Gift: Comes With Free Gift Box.• Satisfaction Guaranteed: Return or exchange any order within 30 days.• Quality: All jewelry collection pieces are personally curated and closely inspected prior to being sent out to customers to ensure perfection and complete satisfaction.When choosing our company for a jewelry piece you can be confident that you are definitely making a great purchase! 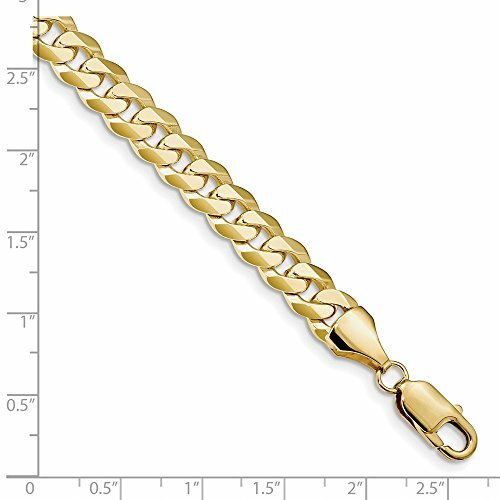 Sterling Silver Chain Necklace, 24 inch long, 8mm 220 Gage Beveled Curb This piece is solid sterling silver (92.5% fine silver), and it has been flashed (a type of plating) with fine silver (99.9% pure silver). Fine silver doesn't tarnish, but it is very soft. Please don't put any chemicals or detergents on this piece: chlorine, perfumes/colognes, hair spray, soap or any kind. 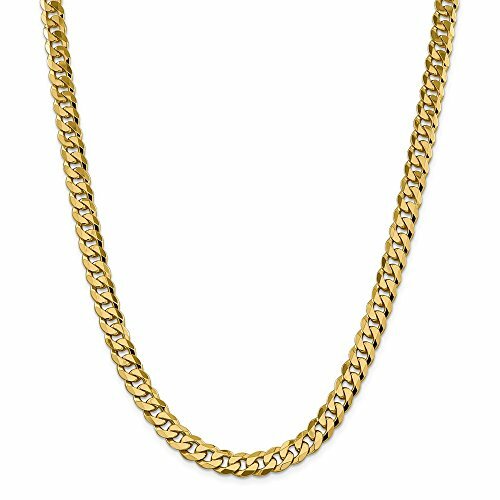 Copyright © Wholesalion.com 2019 - The Best Prices On 220 Beveled Curb Chain Online.